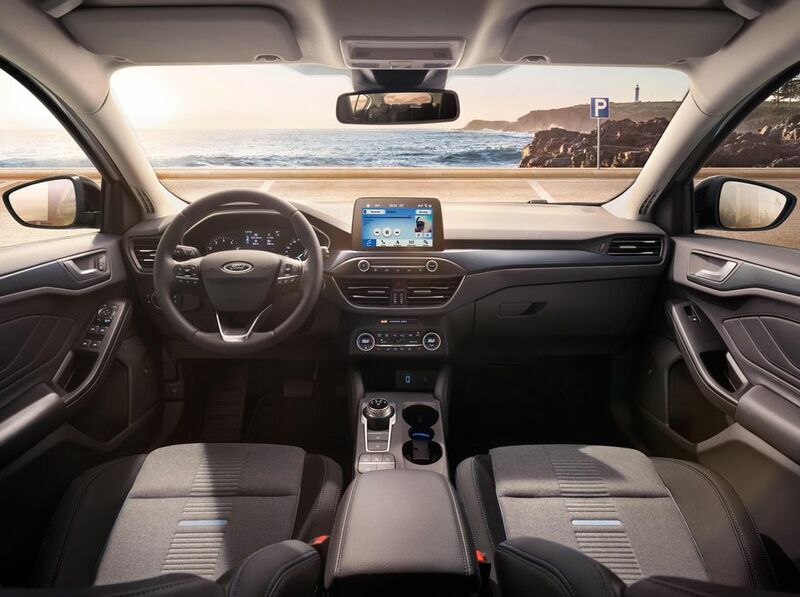 Ford is living up to the promise of connecting its cars by equipping the new Focus with a mobile hotspot and offering an app to perform functions such as locking and unlocking the car. And a mild hybrid version of the Focus is expected next year in markets such as Europe. The mainstream Focus models for this country will come from one of its plants in China — rather than the Michigan plant that makes them now, or the plant in Mexico that was originally supposed to supply North American Focus demand. Ford showed the next generation of its compact Focus. While that may not normally sound momentous, it’s a reminder that the automaker is still focused on cars and not trucks, SUVs, and connecting cities. But it’s also another indicator of how Ford will connect its cars in the coming years. While official information on US versions isn’t expected until later this year, it’s likely the new Focus, arriving sometime next year, will get the Co-Pilot360 system that was announced last month. The suite of driver assistance technologies — while not quite yet a semi-autonomous system like Tesla’s Autopilot — includes automatic forward emergency braking, blind-spot monitoring, and lane keep assist. 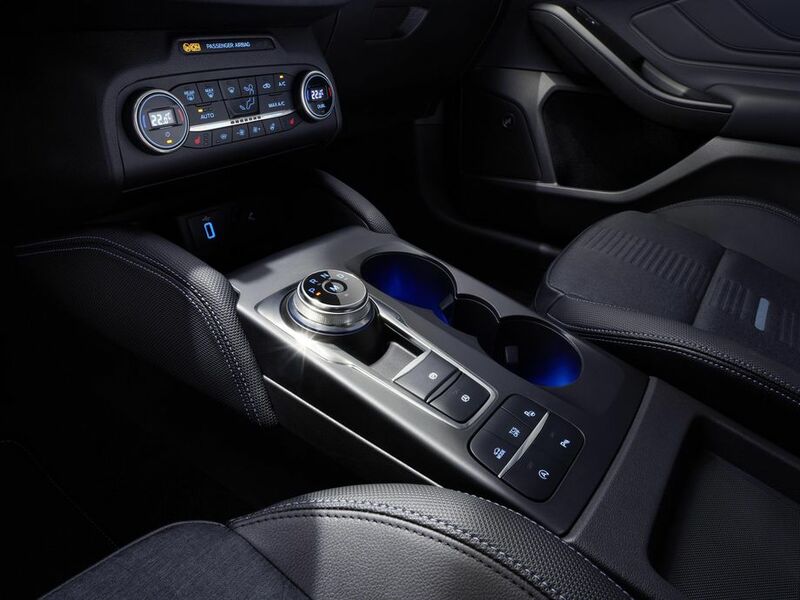 Other available assistance features include a lane centering system and evasive steering assist, which tries to automatically steer the car around a possible collision. 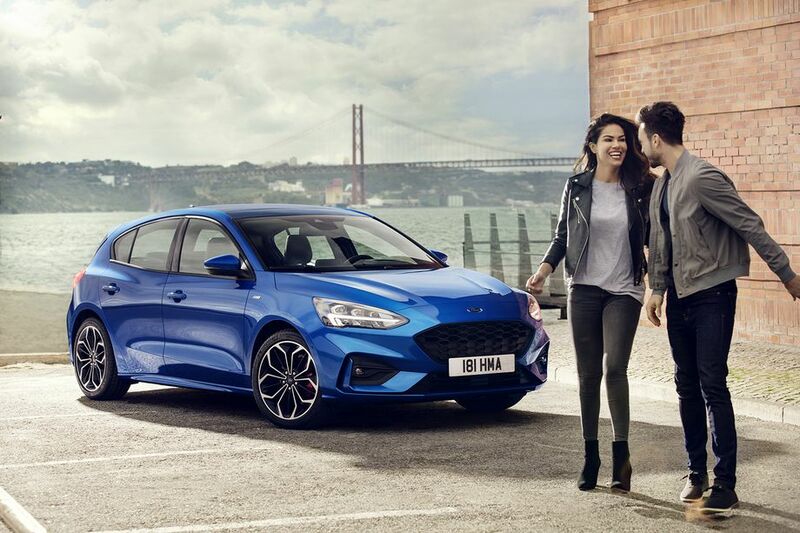 Ford is also living up to the promise of connecting its cars by equipping the new Focus with a mobile hotspot and offering an app to perform functions such as locking and unlocking the car. And a mild hybrid version of the Focus is expected next year in markets such as Europe, with a 48-volt electric system mated to a 1.0-liter, turbocharged three-cylinder engine. But we don’t know yet if we’re getting that version, or even how much the Focus seen here will differ from the versions that will eventually land in the US. That’s because Ford announced last year the mainstream Focus models for this country will come from one of its plants in China — rather than the Michigan plant that makes them now, or the plant in Mexico that was originally supposed to supply North American Focus demand. Some versions may be imported from Europe, such as the more performance-oriented hatchbacks. That’s what makes the whole China tariff situation tenuous for automakers such as Ford. While the dust-up between China and the US on trade may be on the road to compromise, a car as significant as the Focus may find itself on the wrong side in this scenario.